I’m not going to lie. Keeping my work space clean is, shall we say, a challenge for me. More often than not, my desk is covered with receipts, to-do lists, notes, and other miscellaneous papers. Well, I decided that it was time to take action and get things a little more organized by creating a custom Memo Board Center for my work space. I headed to the thrift stores to see what treasures I could find for my project. I scored two rather outdated pieces of artwork for under $5 total. With some basic craft supplies and some leftover cork from my woven felt coasters, I transformed some old frames into something pretty AND useful. Rather than just hanging them, I decided to spruce up the boards a bit with a diy envelope to hold my receipts and some pretty push pins. You could also add some wall words or a special wall hanging in the grouping to add a bit of encouragement to your work space. 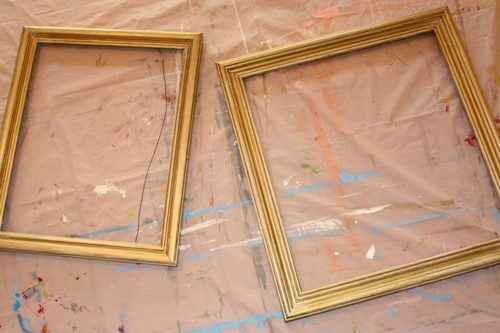 Give your thrift shop picture frames a new look with a coat of paint. First, clean any dirt and grime off of the frames. If you’ve got wooden frames, use sandpaper to rough up the surface a bit. 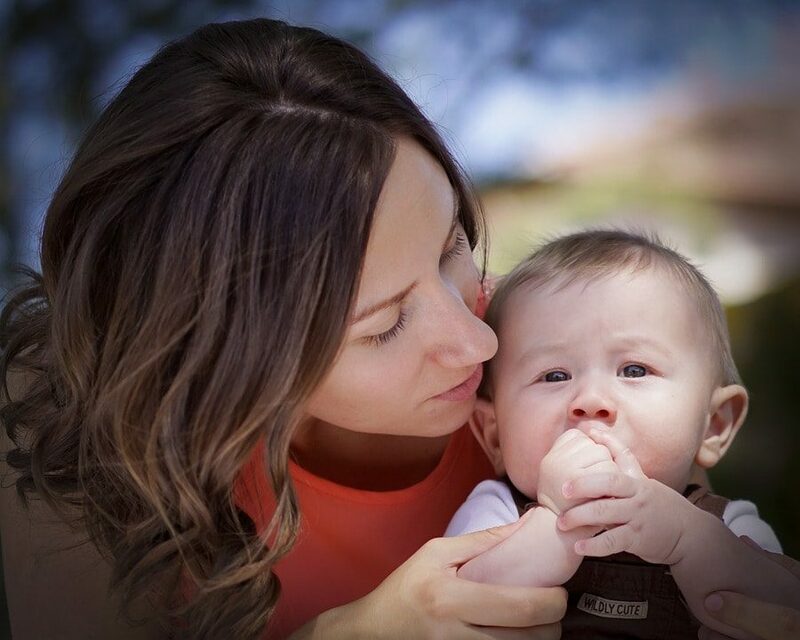 Remove any dust with a damp paper towel and dry thoroughly. Paint as desired with spray paint or acrylic craft paint. (For mine, I gave them a coat of white acrylic paint to cover up the old color followed by a distressed / rustic finish with gold paint.) Allow to dry. For a dry erase board, open the back of the frame and remove any artwork. If you want a plain white dry erase board, cut a piece of white poster board to fit inside the frame. If you would like a dry erase board to hold a to-do list or calendar, design that on your computer and print it. For additional flair, you can mount it on colored scrapbook paper. Once that is done, place it inside your frame either instead of the poster board or in addition to it. Replace the backing and secure. 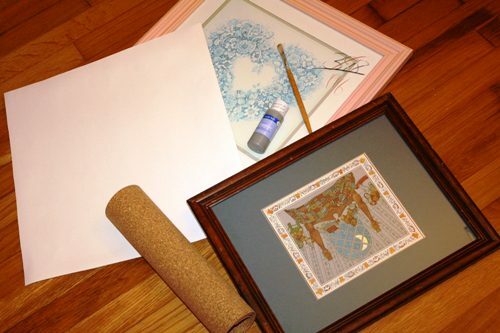 For a bulletin board, open the back of the frame and remove any artwork and the glass. Unroll your cork onto an ironing board and give it a few passes with a hot iron. This will remove any curl to the cork. Measure and cut the cork to fit within the frame. Place it in the frame, replace the backing, and secure. 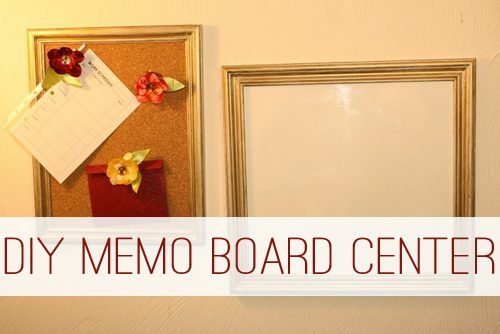 Hang your bulletin board and dry erase board securely on the wall. For extra security, use L-brackets to mount them to the wall. Print out the envelope template and cut it out. Trace it onto scrapbook paper and cut it out. If your paper is thick, use a scoring tool and ruler to score along where indicated by dotted lines on the template. Fold along the dotted lines. 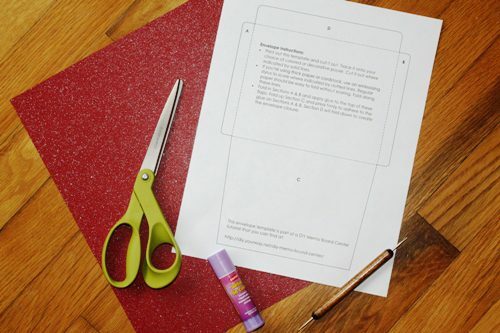 Fold in sections A & B and apply glue. Fold up section C and press firmly to glue it to sections A & B. Use a tissue to remove any excess glue. Fold down section D to make the closure for the envelope. 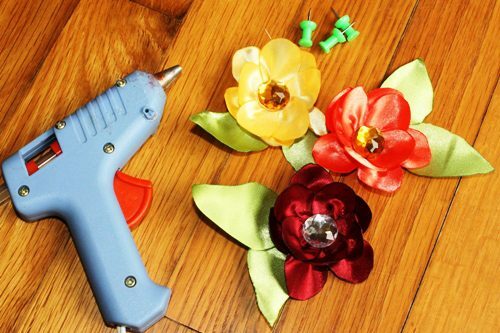 Create satin flowers according to this DIY tutorial. 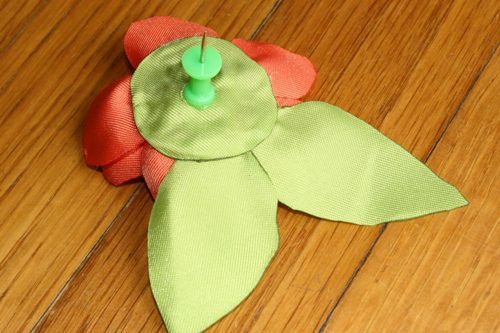 Apply hot glue to the back of the push pin and apply to the backside of the satin flower. Hold securely until cooled. How do you organize your workspace? How Effective Is Your Calendar?